A smooth outside with a crunch inside. 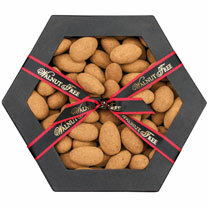 Chocolate and cinnamon coated or almonds. 300g.